So, now that you know where the crab apples came from, are you ready to see how the dish unfolded? Gosh, they're pretty little guys, aren't they? I weighed 2 lbs. of them, and set aside the rest in a smaller bowl as a fall centerpiece on my dining room table (which lasted all of a day and a half, because they ripened rather quickly and the ants and fruit flies swarmed about -- drat). It's at this point the book suggests using a refractometer to measure the Brix (should be 20 degrees) of the now-pressed apples, but I decided to use a different kind of measuring device: my tongue. I know; I'm so low-tech. The refractometer, in this case, would have been testing the sugar content (just like in the mango dish back in March), so I thought I might just be okay with going with my tastebuds instead. That served me well before, so I trusted it again. After tasting a small bit, I decided it did need a little more sugar, so I added 2T and stirred to dissolve it in the still-warm apple mush. In the cooking process, the apples lost a lot of their negative flavor characteristics (bitter, chalky, sour), and even though it was still slightly tart, it was delicious. That Achatz chap knows a thing or two, I think. I put the apple mush (it looks like the pink applesauce my mom makes) into the fridge to let it cool a bit. When it had cooled, I ran it through my ice cream maker for about 20 minutes, then stored it in the freezer until I needed it for plating the next day. I added the sugar, salt, citric acid, and agar agar to the still-hot eucalyptus water and mixed it well with my immersion blender. I poured this mixture into a bowl and let it sit on the counter until it had fully set. I strained it through a fine-mesh strainer into a bowl and stored it in the refrigerator until it was time to plate. Next step? The pepper tuile. I fully expected this to flop. Implode. Melt all over my oven and give me the finger, culinarily, as it were. I don't know why I thought this step would be Failure City. (It wasn't) Maybe it's because I had to go to the craft store for the fondant, and if there's one thing that gives me the creepy crawlies, it's a craft store. I went to Michaels on Rockville Pike here in Maryland, and that place always smells like dirty diapers and old library books. The other thing that drives me nuts about craft stores? Inevitably, every single person in front of me will want a price check on some marked-down item with a 5-cent discrepancy. And, without a doubt, at some point during my simple one-item/no-coupon/not-on-sale transaction, the manager will have to come over -- register key on a plastic coil around his arm -- and override some sort of something, or do a VOID (dunh dunh DUNNNHH), and make a big stinkin' deal out of it and HOLYCRAPIHATECRAFTSTORES. Sooooooo, I put the fondant, glucose, and isomalt into a saucepan and melted it, continuing to heat it until it had reached 320F/160C. I poured it onto a Silpat and let it cool until it had hardened. While it was cooling, I made the onion jam. The whole time I was making the onion jam, I kept beboppin', scattin' and hooo-hoooo-in' around like I was both of the MJs, singing, "Go with it, go with it... Jam.... it ain't too much to jam, it ain't too much...it ain't too mu-uch onion JAM." Or, you know, onion jam... 'cause this stuff was really easy and really good. I diced the onions and rinsed them quite thoroughly in a strainer under cold running water. Then, in a saucepan, I combined the onions, some water, glucose, sugar and salt, and cooked it over very low heat for about two hours. I poured that reduced liquid, now syrup, back over the onions, and let the onion jam come to room temperature. I used a little espresso spoon to taste it, and I almost wish I hadn't, because it was really, really hard not to devour the whole (tiny) bowl of it. I put it in a 350F-degree oven for two minutes. The powder was melted, and shiny, and ready to come out. I let it sit on the countertop to cool to room temperature, and began working on the olive oil, olive oil JAM. It ain't too much, olive oi-oi-oil JAM. I tempered the yolks with some of the glucose-Trimoline mixture, then mixed them all together, stirring thoroughly to combine. I added some salt, and put this mixture in the food processor. As the food processor whirred, I slowly added the olive oil through the ... wait, it is called a feed tube, right? You know, the raised tubular part on the lid through which you add things? It's a feed tube, right? Why am I blanking on this right now and getting a little grossed out because it's awfully close to "feeding tube" for my liking? So, I added the olive oil into the liquid through the feed tube (bllleeeaaarrrgh), as it was still processing, to emulsify it. I poured the olive oil, olive oil JAM into a bowl and kept it cool in the fridge until it was time to plate. The last think I had to make was the white cheddar sauce. I shredded the cheddar, then added hot milk to it, stirred, and whaddya know? White cheddar sauce! Who says cooking is hard? It looked so pretty and smelled amazing, but I wasn't sure how I was going to eat it. This happens every now and then, for me, when I actually eat at Alinea. Should I take little bites of things separately, or try and get a little bit of everything onto the spoon to get one, cohesive taste? I'd already tasted the individual elements as I made them, so I knew what they tasted like, each on their own. And you know what? IT WAS AWESOME! The crab apple sorbet was just sweet enough, but still tasted like crab apples. The notion of apple, cheddar, and pepper together, I love. And, to have the olive oil and onion flavors in there made it all the more delicious. The mint made it feel fresh and clean and light. And then? The eucalyptus just cracked it all wide open and made everything taste better, almost like it amplified every note in ways I find hard to explain. It all made sense, and it was astoundingly delicious. Really. I'm not one to pat myself on the back or toot my own horn, but TOOOOOOOOOOOOOOOOOOOOOT!!!!! Actually, my neighbor, Linda, said it best. As she finished hers, she said, "You and Sean [that's her husband] both say the same thing about your dinners at Alinea -- that it's so much fun, and that there are certain dishes where you just take a bite and smile to yourself because it's so good, and all the flavors kind of unfold, and you just can't believe how good it is, and it's hard to explain because you kinda just have to taste it, AND NOW I GET IT. I get what you guys are talking about!" Prior to eating this dish, if you had presented me with an index card or piece of paper that simply listed the following: crab apples, black pepper, eucalyptus, olive oil, onion, white cheddar cheese.... I'm not sure if I could imagine what they would taste like together, or if it would even be good. I mean, there are a LOT of competing aromas and flavors there. Too much eucalyptus and you're eating a plate of chest rub. Too much white cheddar, and it's like someone dumped a box of Annie's mac and cheese on your plate. Crab apples? Bitter. Pepper? Meh. Olive oil and onion? Yeah, sure, why not, but how? But the nuances and subtleties of each of these flavors just came together in ways I completely did not expect, and thoroughly LOVED. So, whether you smash it all together like I did, or taste the different elements separately, then together, on the same plate and say things like "wow," "whoa," "ooooh," after each bite? It makes this cook a very happy girl. Resources: Crab apples from Forge Hill Orchards; Domino sugar; David's kosher salt; Glucose from ShopBakersNook.com; isomalt, citric acid, trimoline, and agar agar from L'Epicerie; black pepper, onion, white cheddar, whole milk, and eucalyptus leaves from TPSS co-op; fondant from Michaels (ack! ); eggs from Smith Meadows Farm; mint from my garden. Music to Cook By: Kate Miller Heidke; Curiouser. Love love love this album. Love her voice. Love that she's Australian but pronounces "sorry" like she's from Canada ("sore-y"). Love that it's boppy and fun and easy to sing along with. Love that it's not JAM. I would never think those elements could taste good together. Cheese and onions, sure. But eucalyptus? Achatz must be some sort of freakin' genius. TOOOOOOOOOOT!!!!! - love the combination, love the plate (especially post mashup-the only better mashup was It's My Life/My Confessions on Glee). Loving the picture of your smashed together mush! I'm so glad this turned out well for you because that is ONE HECK OF A LOT OF WORK you put into it! :-) Aside from what sounds like a mouthwatering success, your plating was absolutely beautiful. 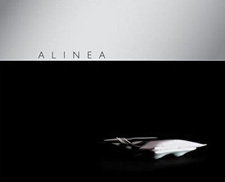 Is it just me or is the most complex thing you've yet tackled from the Alinea book? IT is ridiculously amazing to me that you make all this work out. Rock on girlie. The funny thing is, every time, at the beginning, I see those ingredients and I say, holy crap, how will she do it, folks?! But you do and it's incredible. And then you help me understand why we like these flavor combos. It's like entertainment and taste-bud research all at the same time. I imagine this dish to be fragrant and delicious and well received, though the ingredients would seem unlikely at first glance. I really like the idea of the leaves in lieu of the oil, way to "Carolize" it! Great work, I've got a new appreciation for crabapples 'cause needless to say I only ever ate one bite! "Beboppin' and scattin'"....gotta love it! Wow. I'm glad you're covering this book and not me. After the 83rd step I'd have said "screw it" and cracked open a beer. It looks brilliant though, and I'm glad it tasted wonderful. Just wanted to make sure you saw the article in the New York Times today on Thomas Keller. It was very interesting. I agree about Michaels. I think Little Bits in Wheaton has fondant and it is a lot more fun to go to than Michaels. don't you ever get discouraged??? wow... you have some serious motivation. KUDOS to you!! !